One of the hardest things with using the iPad in the classroom is finding the time to go through all of the apps in the iTunes Store listed under the education banner. We have started to list some of the apps we've found under each of the Key Learning Areas. I love cameras in my classroom. We use our cameras for recording the process of making an artwork, we use them to record evidence of our learning, we often photograph our whiteboard after a brainstorming session or sometimes just to create a photograph to accompany a blog about something that happened in class. 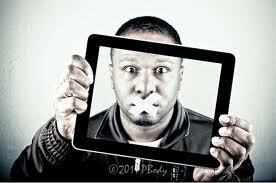 My favourite idea is a series of self portraits. Use your iPads for the students to shot self portraits that can then be the basis for a whole unit of work on Self Portraits or just as a starting point for an interesting insight in how your students see themselves. Adds the most exciting tools for photo management. Get more than 10 add on features all in one app. Highlights include 7 different camera modes, as well as digital zooming, a timer, full screen shooting and rule of thirds advice. Add to this interactive photo notes and Geo tags for a cool apps. 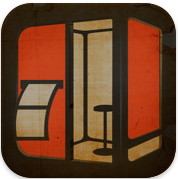 A great job of bringing the old style photo booth into your iPad. Using the front facing camera you can quickly take a stip of of photos using one of the three lenses on offer; the B+W, the SuperContrast or the Kaimal. These are get to use for making photo collections of friends or students. A very cool retro effect. 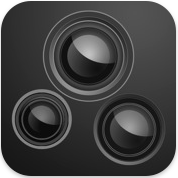 Camera+ makes yout iPad more like a DSLR ofering burst mode, image stabiliser and a timer. However the real features come out alter the photo is taken. This app lets you manipulate your image with crops, borders, colour tints and retro effects. 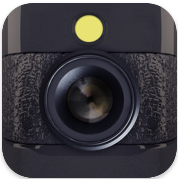 This uses the iPad camera to take photos that are split seconds apart. The user sees a single image but the camera takes a bundle of shots. Choose between four or eight serial shots that can be shot i one or two row configuration. 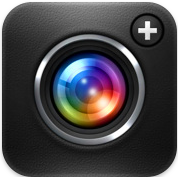 A totally rebuilt app lets you take photos or video with ease. 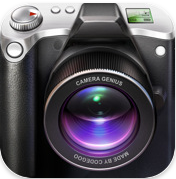 Features include 6x digital zoom, timer, sound capture as well as Anti-shake. 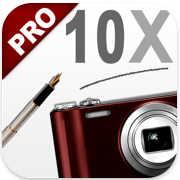 It has burst mode and improve composition tools. This app has a series of controls that let you create cool effects and then share them to Facebook, Twitter or Flickr. Automatic saving, 5x digital zoom and use of both cameras, as well as anti-shake timer and loads more. 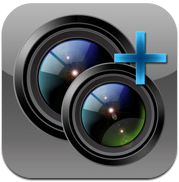 Classic camera and film simulation app that has dozens of cameras in one. This app emulates styes and processes to recreates moods and feel of most interesting retro cameras for enhanced images. Extensive list of features. Digital Photography never looked so analog. This app gives you the feel, unpredictable beauty and fun of the plastic toy camera of the past. 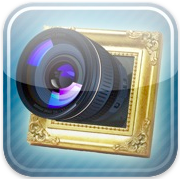 Create quirky old school photos by swapping lens, film and flash settings. Use the ten different frames to create fun photos of your friends and students. Post to class webpage or send through twitter or post on a blog. Also great for using to post contextual pictures of students on their assignments or worksheets. 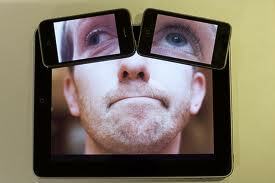 Create slow/fast motion movies on you iPad. 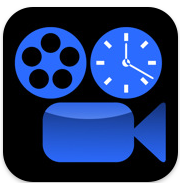 A simple & easy to edit app that puts movies right onto your device. 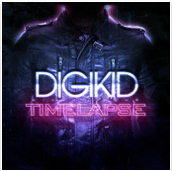 No video degradation no matter how many time speeds are altered. Best part - full documentation is included as part of the app. 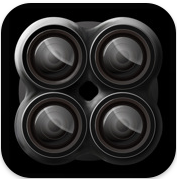 Great app for automating camera to create time lapse sequences. 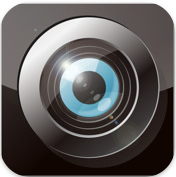 Creates HD video and images, with GPS tags and library for later downloads. Very professional quality post processing and movie encoding. This app allows you to create tiltshift images from your own photographs. Take a simple photo and adjust the details to create miniature pictures or a range of vintage style. Create classic model feel photographs that have become very popular. Great online content details , really makes everything seem so much easier. Thank you! They are useful app, but some are not distributed anymore. eLearning Project Officer interested in Computer Integration, Web 2.0 and engaging students in their own learning through innovative technology and collaborative classroom practices. Can you really use Twitter in your Classroom?